ReShade is an important tool that can be used to enhance in game visuals and modify the playing field to make enemies easier to spot. While ReShade can no longer be used in PUBG due to anti-cheat software that was incorporated to the game as of January, ReShade is still an amazing tool to take revitalize other Steam Games. Since you can no longer use it for PUBG (which is a total bummer in our opinion) the Nvidia Freestyle is a great way to get the ReShade like effects while still being allowed to play the game. There is other optimization software compared with both AMD and Nvidia graphics cards to give you the desired look for games that do not allow ReShade. In this article we will explain to you what ReShade is and what it does, discussing in detail the improvements and pitfalls that come with this software. We will also discuss the alternatives to ReShade that can be used with PUBG to provide the enhanced visibility and clear visuals you are looking for. We will talk about the installation process of ReShade which is surprisingly easy for the large improvements it makes to your game play. We will discuss ReShade affects you should apply and the variety of setting modifications you can make to all facets of your gaming PC that will maximize your gaming performance. The best way to ensure that you are playing within the guidelines of whatever game you are playing, PUBG or something else, is to look at the guidelines for the game you’re playing to make sure your third-party modifications don’t get you booted without warning. Is it allowed in PUBG? How Do I Install ReShade? What ReShade Effects Should I Apply and How? ReShade is post-processing software that can be used for video and games that is developed by Crosire. ReShade revitalizes your gaming experience by incorporating depth of field effects, anti-aliasing, color correction and a variety of the improvements to in-game visuals. Refined depth of field effects are important to your gaming experience for several reasons. Depth of Field is used to create three-dimensional effects within a game that enhances the realism of the scene, this effect is also used frequently in video games to draw your eye to important areas of the screen. The anti-aliasing effects ReShade provides creates curved images with greyed out pixels to appear more realistic than the typical staircase like curves that are apparent on screen. This tricks your eyes into seeing a more realistic and better image without the glaring appearance of jagged pixels. ReShade is a tool that greatly enhances in-game visuals in many more ways than what we just discussed but you must remember this isn’t a fix-all be-all. When using ReShade for certain games including PlayerUnknown’s Battlegrounds you will have to sacrifice your maximum frame rates for the enhanced visuals and details you receive. Typically, when you have ReShade active in PUBG you’ll experience a cut of up to ten frames per second since it will task your GPU more heavily when it’s on. With a lower quality graphics card, the negative impacts to frame rate may be more pronounced when playing fast paced and jerky scenes. Activating the Game Mode while using ReShade can help balance out some of the sacrifices that come with using ReShade technology. Another sacrifice you may have to make when ReShade is active is getting used to occasionally wacky textures that sacrifice some of the realistic imagery the game has to offer. Overall, you should try out ReShade to see what it’s modifications to your favorite games are like. You will want to ensure that you speed up Windows 10 for gaming performance by choosing the most efficient settings when using ReShade to lessen the effects of costly cuts to your frame rates. You will experience great improvements to the visuals and color quality of your game when using ReShade with only minor drawbacks especially if you optimize all other PC settings to be gentler on your GPU. ReShade was completely usable with PUBG up until three months ago when PUBG announced that their new anti-cheat system will block third party programs that modify gameplay to give certain invasive advantages. While it is unfortunate that ReShade is no longer usable with PUBG to enhance the visual experience, there are other alternatives to enhance in-game visuals. Nvidia Freestyle can be used with PUBG to enhance the visuals because it does not add code directly to the game and won’t be blocked by PUBG’s anti-cheat system for that reason. The enhancement the Nvidia Freestyle provides to your game can improve color and sharpness, make enemies easier to spot and can be customized to your liking. While we love ReShade and still will be discussing its download and optimization in case you want to use it with other games Nvidia’s Freestyle can improve PUBG specifically. •Enter the official ReShade website to carry out your installation using a reputable source. •Click on the purple button with white font that says Download directly below the ReShade heading. •Once your download completes click on the Select Game option. •Once you get to the next tab select the Direct 3d 10+ option. •The next two message boxes will pop up, select Yes to both. •Select all modifications you want to install to the game, for PUBG we have included our recommendations below. * Remember PUBG will no longer allow these ReShade modifications but other games will. •Click on the OK button and the ReShade installation is complete. Configuring ReShade within PUBG is easy and quick, especially because there are keyboard shortcuts to make the modifications. 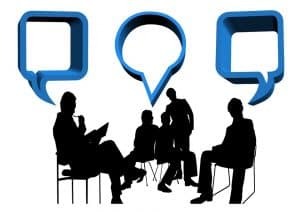 We recommend that you previously added the color, sharpen, clarity, and vibrancy effects which are a few our favorite modification. We will discuss some modifications you can make to enhance clarity and visibility outside of ReShade to get the best gaming experience. •Open the game you want to play, in this case PlayerUnknown’s Battlegrounds. •Open up the ReShade configuration menu using keyboard shortcuts by pressing Shift and F2 simultaneously. •In the top right corner of this menu click the + sign to add your new settings preset you are setting up. •You can apply the different effects by checking the boxes beside the desired settings, this creates specific settings you can use as a preset next time you play the game. •Press Shift and F2 to exit the ReShade configuration menu, it will apply the preset settings to your game. Creating ReShade profiles specific to each game or the desired affects you are looking for is a great way to get the most out of ReShade. Optimizations within ReShade will not work for PUBG anymore but using this technology in other games will enhance enemy visibility and color quality. Additional modifications outside of ReShade for PUBG will also give you an edge. The best settings for PUBG varies based on what you are looking for, but we wanted smoother gameplay because this game is not optimized, and you probably don’t get the best frame rate, even with a fancy GPU. 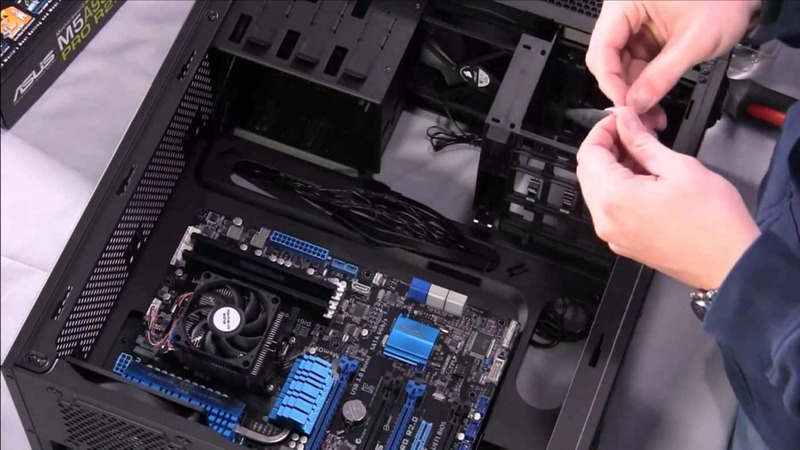 You can optimize every aspect of your gaming settings in game and out of the game to get the best performance overall. •Under the Video Capture heading disable the Highlights Auto Capture option. •Modify the Texture settings to your liking but we recommend medium for quality graphics. •Set View Distance to maximum for longer vision and better awareness of their surroundings. •We preferred to set our brightness at 65 which is a little higher than the default. •Set the post-processing, anti-aliasing, shadows, foliage, and effects, several to very low to be less taxing on your GPU. * Setting shadows to low ensures that your enemies are easier to see. * Setting post-processing to very low makes colors flatter which will make enemies stand out more. •Disable motion blur and set the screen scale to 100. •Disable the V-Sync to prevent synchronization that may be decreasing the quality of the graphics. •The default FpsCameraFov is defaulted to 80 which shows a smaller left to right field of view than the widest 103 setting, but enemies are larger and easier to see. * We recommend 80 for enemy visibility but if you want wider viewing angle turning it up will increase the FOV while making enemies appear smaller. •Open Google Chrome and open the Settings tab. •Scroll down the settings menu until you can click on the Advanced tab. •Turn off hardware acceleration to ensure that background applications are using only minimal resources during gameplay. •Close google chrome and reopen it apply your settings. •If you are playing on a gaming laptop running a Windows 10 operating system open the Settings and select High-Performance mode. •For Nvidia graphics cards open the Nvidia Control Panel and select the Manage 3D Settings option. •Open Program Settings and select TslGame on the dropdown menu, most of the time you can find that section if not you will have to click add to find it. •Set preferred refresh rate to highest available. •Under program settings set the maximum pre-rendered frames to 1. •Disable the Vertical Sync option and monitor technology to G-Sync. •Change the power management settings to Maximum Performance. •Set multi-display and mixed GPU acceleration to single display mode. •Activate the threaded optimization setting. 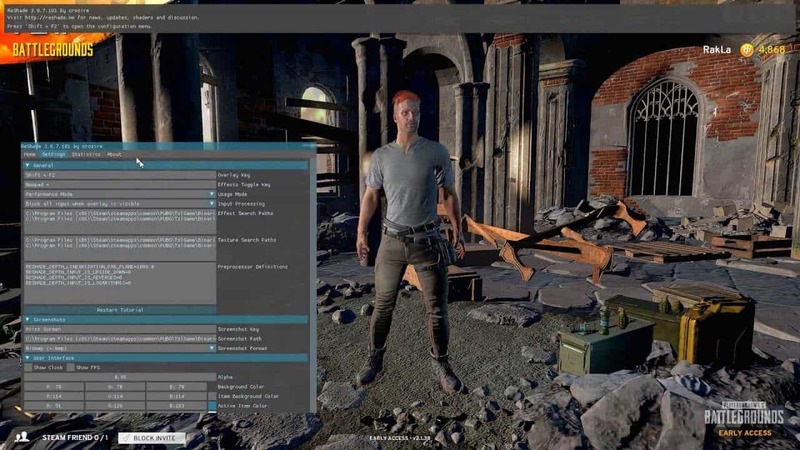 Making the few easy modifications to the settings inside Player Unknown Battlegrounds, to your browser, and to your gaming PC that we discussed above will make your PUBG experience infinitely better. Depending on your graphics card you may still experience a decrease in frame rates when using ReShade but not nearly as severe of decrease that would be seen with an older more outdated graphics card. Having one of our favourite gaming monitors will also amplify your PUBG gaming experience especially if it is one with a higher refresh rate than your current monitor. You will need to temporarily uninstall ReShade software when playing PUBG most of the time but that doesn’t mean you can’t make the most of your visuals in other games with ReShade technology. 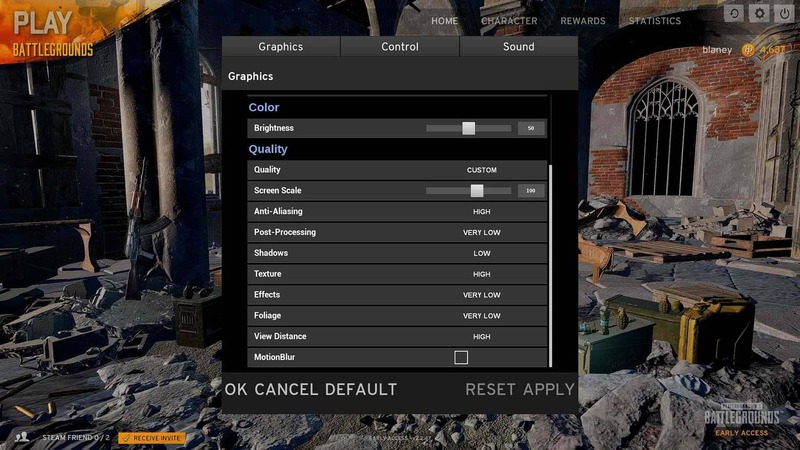 Since you now know how to install ReShade technology and create different settings profiles for each game you can ensure you always get the effect you are looking for. If the colors in your game look muted and dull, cranking the saturation up and ensuring other settings are adjusted to match will give you realistic colors that do right by your game. If your enemies are masked extraordinarily well, you can make them stand out more even from afar by muting the colors and textures down slightly. Whatever settings effect you choose to apply with ReShade be sure you play around with it to get the ideal filter you are looking for, especially if you are a first-time user. We love ReShade for other games, but it is important to note that PUBG requires other enhancement software. Step up your gaming performance in Players Unknown Battleground with enhancements from third party software and use ReShade to max out all your other Steam games.